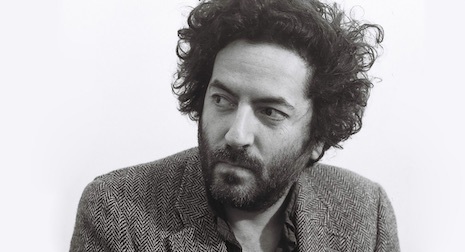 Destroyer plays at The Waiting Room this Saturday. Sometimes I wish I had an eleventh question. If I did, I’d ask Dan Bejar why he called his project Destroyer when there’s nothing destructive about it. Destroyer songs, like the ones heard on the band’s latest album, Ken (Dead Oceans, 2017), swing and sway and feel like riding a bike with no hands. In fact, Destroyer has more in common with sweater-wearing acts like Belle & Sebastian than a faux-metal monster like KISS. Bejar, a Vancouver-born Canuck and part-time member of The New Pornographers, formed Destroyer in 1995. And while he’s had a number of breakthrough records, the one that first stood out (for me, anyway) was 2011’s Kaputt (Merge/Dead Oceans), a dazzling collection of infectious indie pop songs. Ken carries on in the same way, at times dreamy and introspective, at other times dancey and introspective. There’s so many terrible ones it makes me think I’m maybe just not that into songs. The nights when the stage sound is killer. There are people at home that I miss very much. I have played a couple fairly gnarly college shows. Won’t name names in case I decide to enroll. Yes. It took five years. And then another five years of mostly hovering just beneath the poverty line. It also helped to write songs for the New Pornographers in those lean Destroyer years.